This summer ALTIS coach Stuart McMillan wrote “I don’t read coaching books anymore – but all books I read are about coaching.” This is an interesting concept, and it illustrates the importance of knowledge outside of your narrow sphere of expertise. Put simply, once you’ve read a few coaching books, you’ve essentially read them all – there are very few new ideas out there in the coaching world. The same can be said for scientific research; once you have a good base of knowledge in a specific area, there are actually very few groundbreaking papers in that particular niche that drive the field forwards. That’s why, when it comes to sport science, we should take a leaf out of McMillan’s book (no pun intended). By understanding areas outside of our world of sport, we can better understand what happens within sport ; and, if we can better understand what happens, we have a greater chance of stacking the odds in our favor and promoting positive adaptations to training, leading to an improved performance. One such area where it can pay to have a bit of knowledge is that of evolution; humans have been on this planet for a long time, and our history as a species is what drives many of our behaviors today, including that of obesity (this was recently well covered by Joel Snape). To that end, let’s have a look at a reasonably well-known social science phenomena, and use it to better understand athlete performance and adaptation. 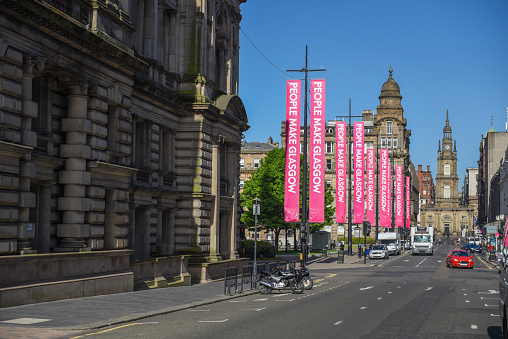 The Glasgow Effect refers to the curious finding that residents of Glasgow, Scotland, have a lower life expectancy than residents everywhere else in both the UK and Europe. At birth, life expectancy for a male is just under 72 years, compared to the UK average of just over 78 years. For women, the outlook is still bleak, although slightly less so; they have an average life expectancy of 78 years, compared to the UK average of just over 82. The reason for this is poorly understood, and there are a lot of different factors which likely drive it. Some of these factors will be socio-economic, with high rates of drug and alcohol abuse reported in specific areas. Some are likely health-related, with increased rates of vitamin D deficiency driven by a lack of sunlight and cold winters. 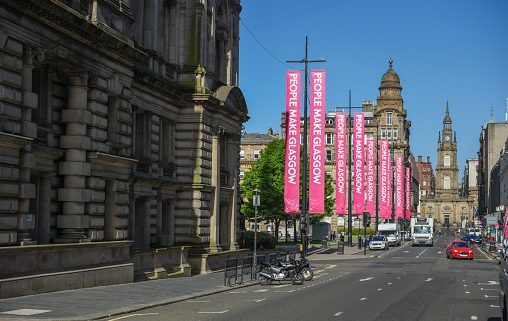 But these factors can also intertwine; the social deprivation seen in some areas of Glasgow (a socioeconomic factor) can drive the physical factor (lack of vitamin D) by making people less likely to leave their homes and get access to sunlight. Our first important lesson from the Glasgow Effect, therefore, is that humans are very complex creatures, and attempting to understand them by focusing on one area is likely to provide an incomplete picture at best. The second important aspect of the Glasgow Effect that can be applied to human performance is that of the impacts of stress. This was nicely summed up in an article published last year by Joe Cowley. Entitled “Unravelling the Glasgow effect: The relationship between accumulative bio-psychosocial stress, stress reactivity and Scotland’s health problems,” it looks at the Glasgow Effect through the lens of stress, with some interesting conclusions. Essentially, what we call stress is a response to a change in emotional state which is caused by exposure to a perceived threat. Note the word perceived there; the threat doesn’t actually have to exist. Note also the words emotional state; whilst we all recognize the physical symptoms of stress (increased heart rate, sweating, butterflies in our stomach), these are all driven from the emotional centers in our brain. » Learn more: John Kiely explains stress and adaptation in our latest HMMR Media video lesson. Evolutionary, this is important. Thousands of years ago, if you saw a tiger, then your brain’s recognition of this as a stressor lead to physical changes that enabled you to escape. This is ideal if you’re in the plains of Africa, but less ideal if you’re in an office in London, where a “threat” could be your boss imposing a deadline for some work. This deadline could be interpreted as a threat because failure to meet this deadline could have long-term implications – you might get sacked – but here the stress response is partially redundant; you don’t need to perform well physically in order to escape (the mental improvements brought on by the stress response, however, will be useful). However, here’s the problem which evolution hasn’t yet managed to fix; on the plains of Africa, once the threat had disappeared, the stress response abated, and you were able to recover, leading to healthy stress-rest balance. However, in your office in London, the deadline for work might be weeks away, meaning that this stress response is prolonged. This can have a negative effect on your overall health. If we bring it back to the word perceived, this stress imbalance is partially a function of perception; whilst a tiger might kill you, not getting a piece of work done in time probably won’t – and yet the stress response can be similar. This leads us to a key section of Cowley’s paper; the individual experience is important, i.e. it isn’t the stressor that is the problem per se, it’s the stress response . Flying is a great example of this. Earlier in my life, I hated flying, and I still don’t necessarily enjoy it. I especially dislike turbulence, and when I encounter it on flights I get a fairly strong stress response; I can get butterflies in my stomach, and start sweating. However, other people on the flight have a very different reaction to the same stressor; they aren’t fussed about it at all (my wife is one of these people). Same stressor, but our perceptions of it differ, and that causes a difference in stress response. The reasons our perceptions of it differ can be varied, and are at least partially down to previous experiences. I’ve experienced turbulence where cabin crew had to assume the brace position; that was a genuinely scary moment in my life, which my brain remembers, and as a result perceives turbulence to be a greater stressor than it actually is. Conversely, my wife hasn’t had that historical experience, and so her perception of the stressor is different. Exposure to stressful events can alter your brain’s perception of them. For example, having competed at a very high level in front of thousands of people, public speaking in front of 100-200 people doesn’t bother me in the slightest – there is no (or at least minimal) stress response on my part. However, for most people, speaking in front of 100-200 people is potentially the biggest audience they have ever experienced, and so there can be a large stress response. This individual perception of a stressor, leading to an individualized stress response, can also drive behavior. In the context of the Glasgow Effect, it can lead to people turning to alcohol, cigarettes and drugs in order to “numb” the negative feelings associated with the stress response. These in turn lead to more chronic issues that further alter the stress response and negatively affect health, such as poor sleep and increased BMI, creating a downward spiral of ever increasing, chronic stress. In athletes, these behaviors can manifest in a number of ways. Acutely, this could be underperformance at a competition, partially driven by an increase in stress hormones. Chronically, this can be reduced adaptation to training. Clearly, one of the keys to understanding how athletes respond to training both acutely and chronically is this stress response, which is a complex phenomenon with contributions from mood, recovery, and individual history. It can be difficult to fully understand the stress response of athletes, and perhaps we never will, but knowing that any type of stress – not just that which occurs through training – can initiate a stress response, and that this stress response is not consistent between individuals and any given time, and even within the same individuals over time, is crucial. If an athlete perceives a stimulus as a stressor, that initiates the stress response , and so working with an athlete on their interpretation of this stimulus is important. For example, many people interpret nervousness as negative, and therefore initiate a stress response. But what if we start to view pre-race anxiety as facilitative; now there won’t be as significant a stress response, and the athlete can perform optimally. For further reading, I’d recommend checking out John Kiely’s recent video on the topic. http://www.hmmrmedia.com/wp-content/uploads/2017/08/glasgow.jpg 339 508 Craig Pickering http://www.hmmrmedia.com/wp-content/uploads/2017/07/HMMR-Full-Logo400.png Craig Pickering2017-11-21 12:07:352017-11-21 12:07:35What can the Glasgow effect teach us about stress and adaptation?